After a couple of weeks of weather watching it was finally time to decide, do we drive Interstate 5 to Tehachapi or attempt to cross the Sierra's around Tahoe. Since things seemed to be drying up after some rain at home we decided to risk it and drive Highway 50 over the mountains to Highway 395. Even this morning the Cal-trans sites were saying chains were needed to cross the summit, we gambled that by the time we reached the summit there would possibly be rain, not snow. We were partially correct, no chains were needed and there was rain AND snow. 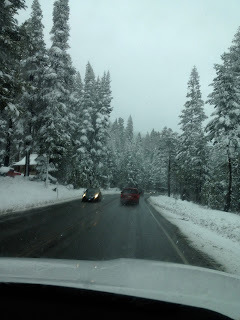 What a winter wonderland Echo Summit was as the snow fell. Neither Mark nor I could remember the last time we drove as the snow was falling. We made great time and were over the mountain soon after noon having left Petaluma around 9:30. 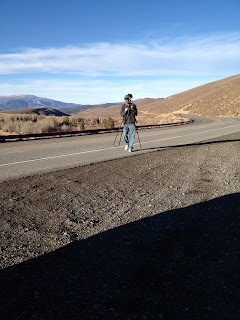 Once over the mountains we headed to our nights destination, Topaz Lake, Nevada for lunch. We pondered driving on a few hours, but after lunch we were ready to relax for the rest of the day. We left Topaz Lake after a beautiful sunrise and our first steak and egg breakfast at the Topaz Lake Lodge Restaurant. We had to try it, the price was a meer 4.95. The steak was so tender and tasted wonderful with the eggs and hash browns. 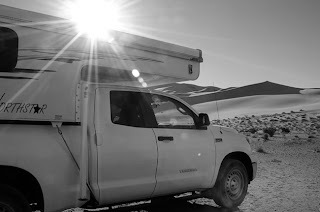 We were on our way south to Eureka dunes by 8:30. The roads were clear and the Sierras beautiful. A brief stop was made at Manzanar to visit the new to us visitors center. It is in what was the auditorium during the internment of the Japanese. There's no way the State Park System would ever have been able to build such a magnificent building in recent years. After lunch in Lone Pine we left the highway and headed for Death Valley Road, which had a sign saying the road to Eureka Dunes was closed. 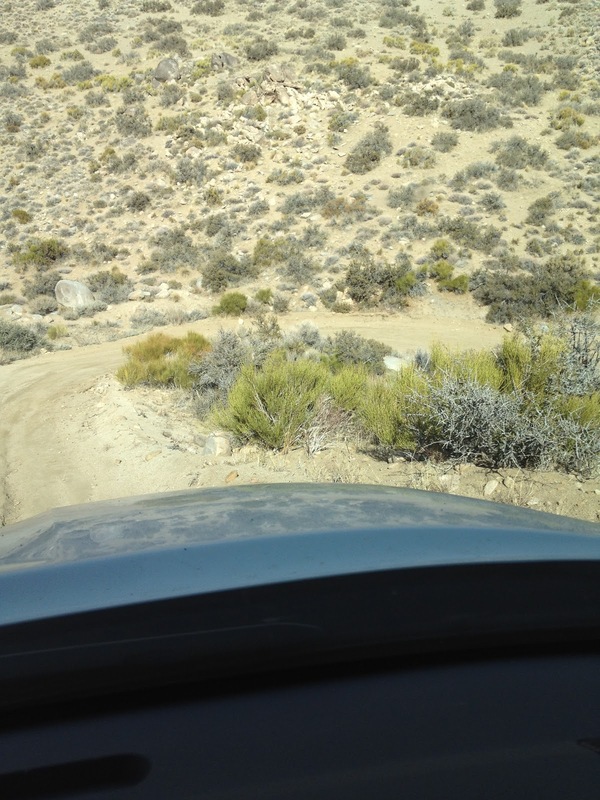 We apprehensively headed down the miles of road figuring if we had to return to Big Pine for the night, so be it. We soon learned that you can't believe what rode signs say. The road was fine, a passenger car could have traversed it. Once to the small campground with about 10 sites spread over a mile or so, we positioned our campers so we would have a wind break should the wind blow, which it did. 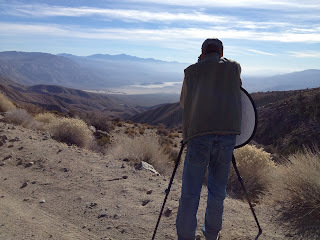 Mark headed off into the Eureka Dunes where he spent about 4 hours shooting. After having been out in the dunes for about 4 hours we were all concerned about Mark's whereabouts. As the sun began to set he finally meandered back into camp. Sunset at Eureka Dunes was spectacular! It was a chilly morning in the dunes, the mountains blocked the sun until about 8:00 and we didn't realize we'd be at a higher altitude where the temperature would be cooler. We left the campground around 8:30. Driving into Eureka Dunes we passed one car and two cars as we left. 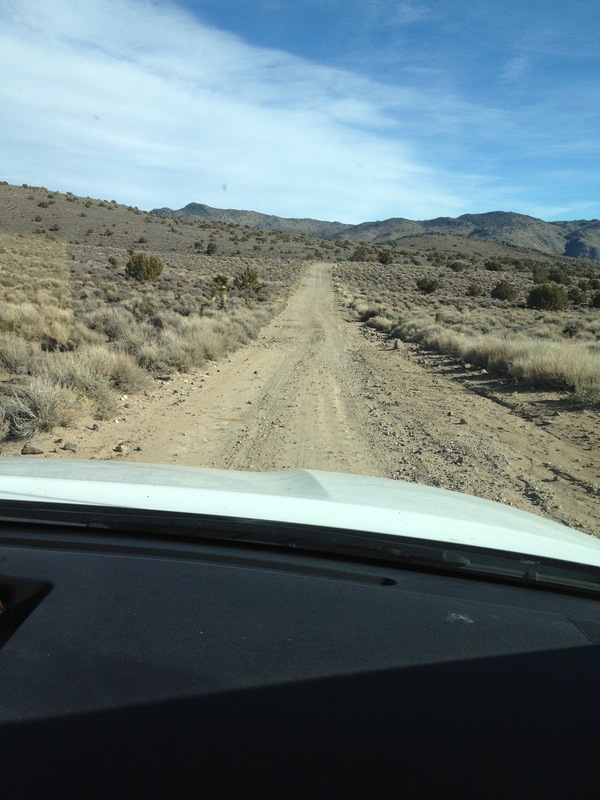 The road was paved for the first 26 miles off of Highway 395, the final 20 miles is unpaved. The drive into Eureka Dunes was about 80 minutes. 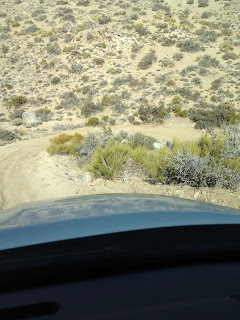 Traveled through a narrow stone canyon, up barren hillsides through pine and Joshua Tree forests as we traversed the hills. View of the Sierras as we approached 395 was spectacular. After gassing up in Lone Pine we paralleled Owens Lake for the drive to Panament Springs "Resort". Our camp site was basically a rocky parking lot with some bushes and a sorry excuse for a bathroom and showers. For $15.00 a night, we couldn't complain, but I longed for the beauty and tranquility of Eureka Dunes. 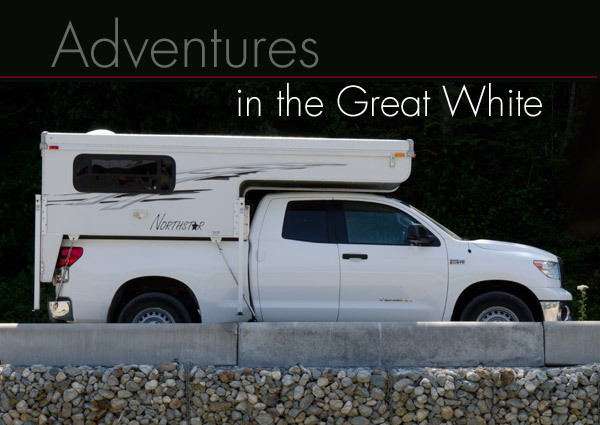 We now know that Panament Springs is where the four wheelers and bikers stay. 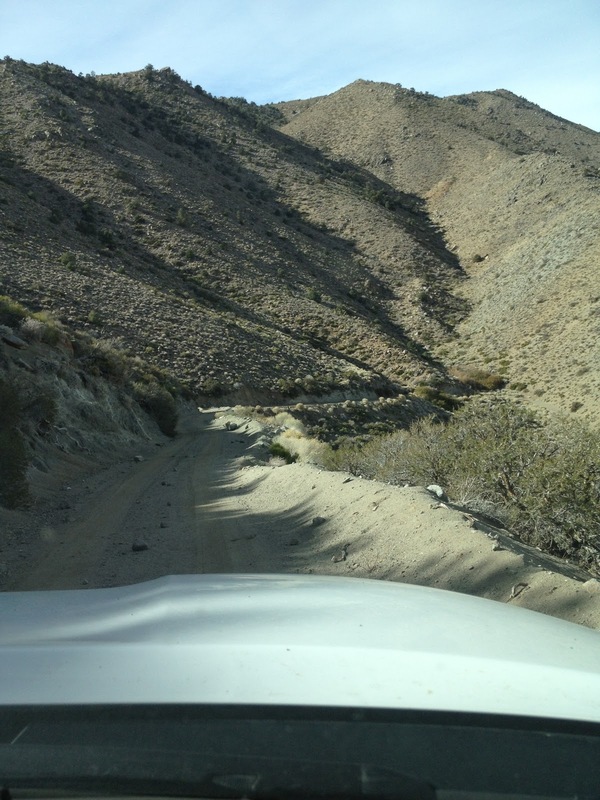 Saline Valley Road, at its best. Saline Valley Road to Hunter Mountain Road going over the mountain and into Hidden Valley and finally coming out at the road to The Race Track. The tires said, "Auhhh" the soft sand felt so good! 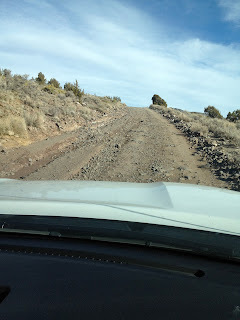 The road had suffered from recent washouts, but was passable and a beautiful drive through many different ecosystems. Not sure I'd make the drive again, but sure am glad we did. It was definately one of the high points of a magnificent trip. After 4 hours we reached Tea Kettle Junction. There were no where near the number of teakettles I'd seen in other photos before leaving home. From here it was about another 45 minutes to the Grandstand and then another 30 to The Race Track. 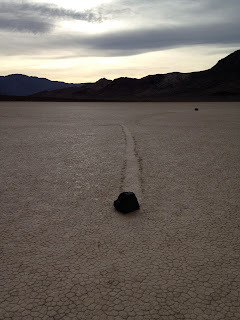 The soft sand turned quickly in to rough rock for most of the remaining drive into the race track. We were so late getting back to the pavement we decided to stop for dinner in Stove Pipe wells rather than cooking dinner in the dark at 8:00. It was about 9 when we arrived back at our campsite from a long but exciting day. After all the off road driving yesterday we decided to stick mostly to the pavement today. 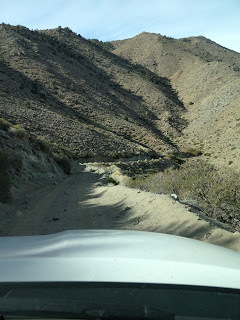 We began the morning with a drive through Wild Rose Canyon and up to the Charcoal Kilns. Another drive through diverse ecosystems. Terri and I hiked up hill about a mile to check out one of the high elevation campgrounds. We then headed to Furnace Creek and the remodeled visitor center and campground. In retrospect wish I'd have re-booked when Furnace Creek Campground began taking reservations, it's by far the best campground in the park. While there we checked out the menu at the Inn at Furnace Creek and decided that's what we'd do rather than cook next year. We arrived back at the campsite about 3 and began prepping our turkey dinner. Much to our surprise the restaurant at the resort had served a free Thanksgiving Buffet from noon until 3. We had the turkey breast on the grill and all the burners on both of our stoves cooking. The feast was served at about 5:30 to candlelight on a comfortable desert evening. The journey home began today. We decided to stop for lunch at Mono Lake. 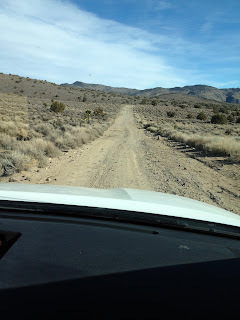 After exploring the visitor center and talking to one of the rangers we went down to the South Tufa Area. So glad we did, words can not describe the beauty of that area. We spent the final night back at Topaz Lodge before heading back over the Sierras ans into the Bay Area. 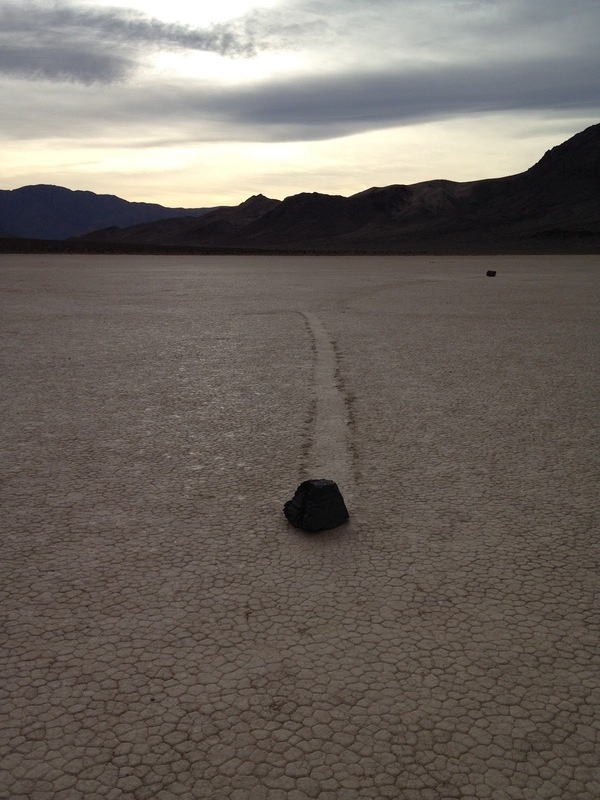 Another wonderful Thanksgiving in Death Valley and beyond was shared by all! 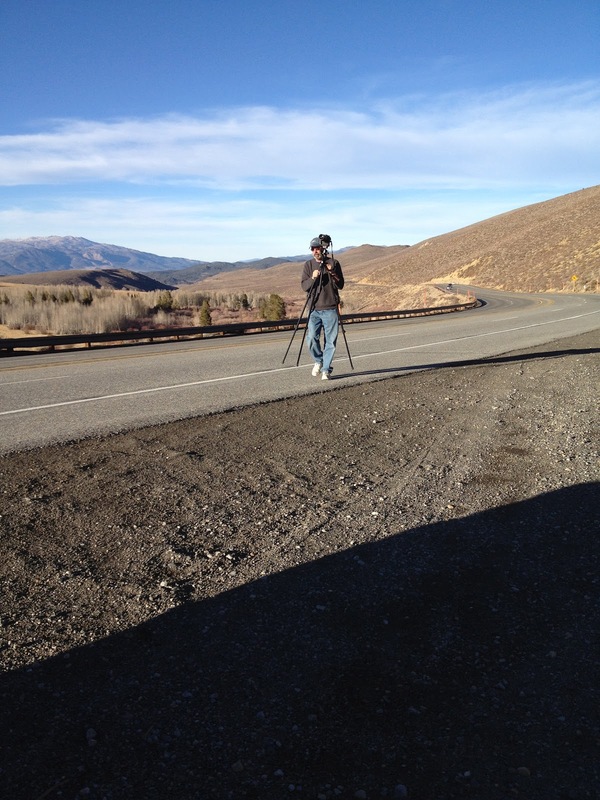 Running around on Hwy 395 between Bridgeport and Lee Vining for a shot.